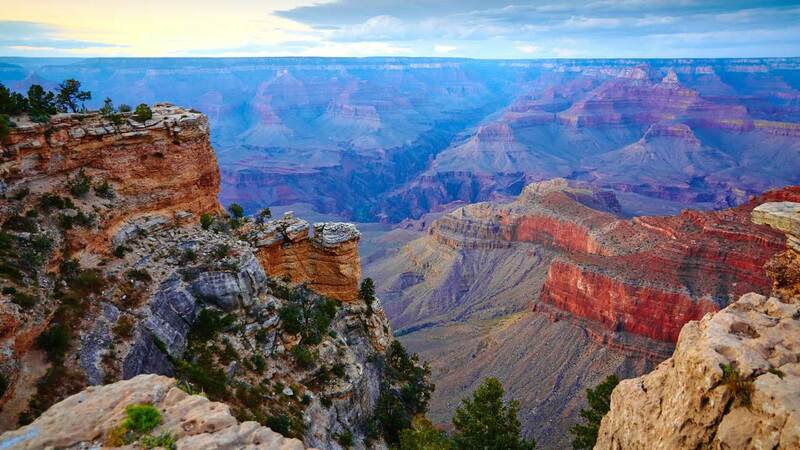 The U.S. Forest Service is considering approval for a mega-development on the outskirts of the majestic Grand Canyon — a project the superintendent of Grand Canyon National Park has called one of the greatest threats in the 96-year history of the park. The Stilo Development Group, based in Italy, has proposed a sprawling urban development for the tiny town of Tusayan, near the southern edge of the Grand Canyon, which would include more than 2,100 housing units and 3 million square feet of retail space along with hotels, a spa, and conference center. However, the acreage for which this complex is planned is surrounded by federally owned forest lands. So, in order for development to proceed, Stilo needs a federal permit to expand road and utility access to the properties through public lands within the nearby Kaibab National Forest, which abuts both the North and South Rims of the Grand Canyon. The Forest Service officially began moving forward with the process to approve that special-use permit on Friday. In turn, environmentalists and conservation advocates expressed outrage. Not only would the project transform a quiet tourist town into “a sprawling complex of high-end homes, strip malls, and resorts only a mile from the Grand Canyon National Park boundary,” but it would also require vast quantities of water and could lower the aquifer that feeds springs and streams that support wildlife and recreation on the park’s South Rim. Earthjustice, on behalf of the National Parks Conservation Association, the Grand Canyon Trust, Sierra Club, and the Center for Biological Diversity, has submitted a letter protesting the Forest Service’s consideration of the rights-of-way permit. The groups point out that the city of Flagstaff and regional businesses have already passed resolutions opposing this development, saying that it would negatively impact surrounding communities as well as Grand Canyon National Park. Earlier this month, the conservation group American Rivers named the Colorado River in the Grand Canyon the number one Most Endangered River of 2015—and cited the Stilo development, which it noted “could deplete vital groundwater supplies,” as one reason for that classification. The Forest Service will take public comment on the Stilo-Tusayan permit application through June 3, and will hold informational meetings on the proposal in the nearby towns of Tusayan, Williams, and Flagstaff toward the end of May.